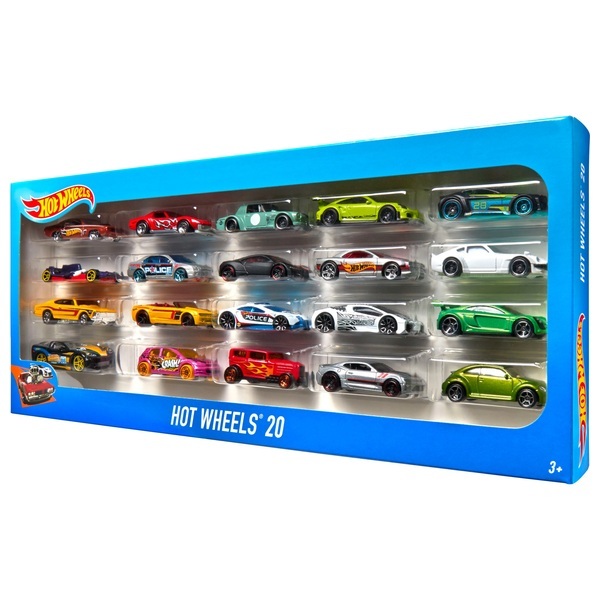 This Hot Wheels 20 Car Pack is trunkloads of fun with 20 Hot Wheels vehicles included. Collectors and car enthusiasts admire these amazing 1:64 scale vehicles with fondness and reverence. Kids love them to play with their track sets or to enjoy push around play. These cars feature classic decos and hot designs. Open window packaging displays the entire set so you can see the variety of cars you’re getting. With 20 cars, it’s 20 times the fun! Jump start your Hot Wheels collection today!